Liven up your long hair look with a contrasting blonde hair-color design like this fantastic new idea. 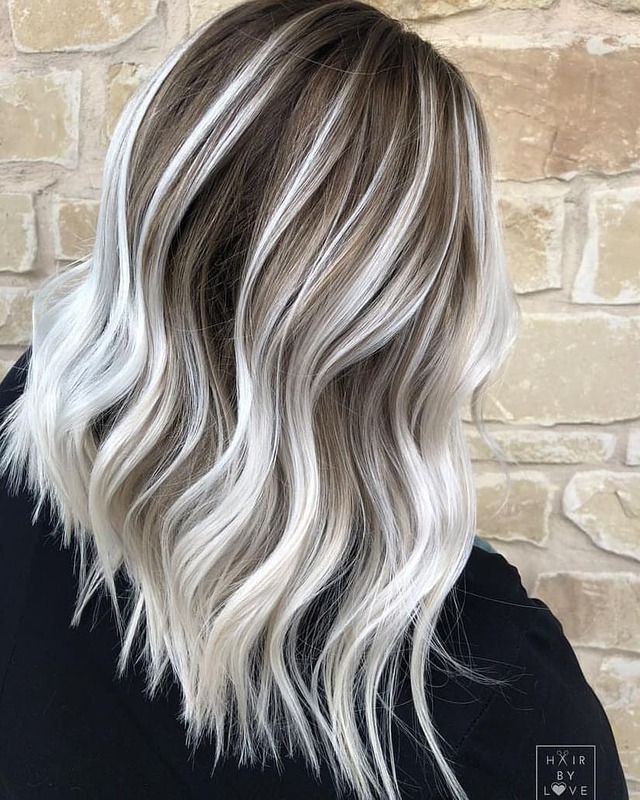 Instead of staying within one tonal range, this innovative colorist has managed to blend soft beige-gold beautifully with a blue-toned white balayage! 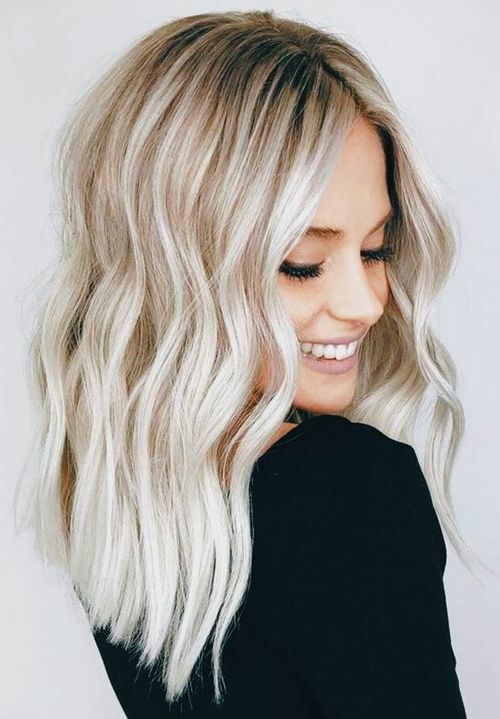 And defined waves open up the surface to display all of the color contrasts below in a very contemporary long bob haircut. The full, deep straight-across fringe is making a popular come-back this season. And it suits long, heart and oval face shapes very well. It also helps you get a thicker fringe on fine hair if you start the fringe this far back. Longer side-strands of the fringe soften the gap between fringe and long layers, framing the eyes and cheekbones. Long, fine hair gains extra volume from feminine waves and this casual, tousled finish. This lovely warm hair-color design is full of reflected light from the contrasting oat-blonde ombré. 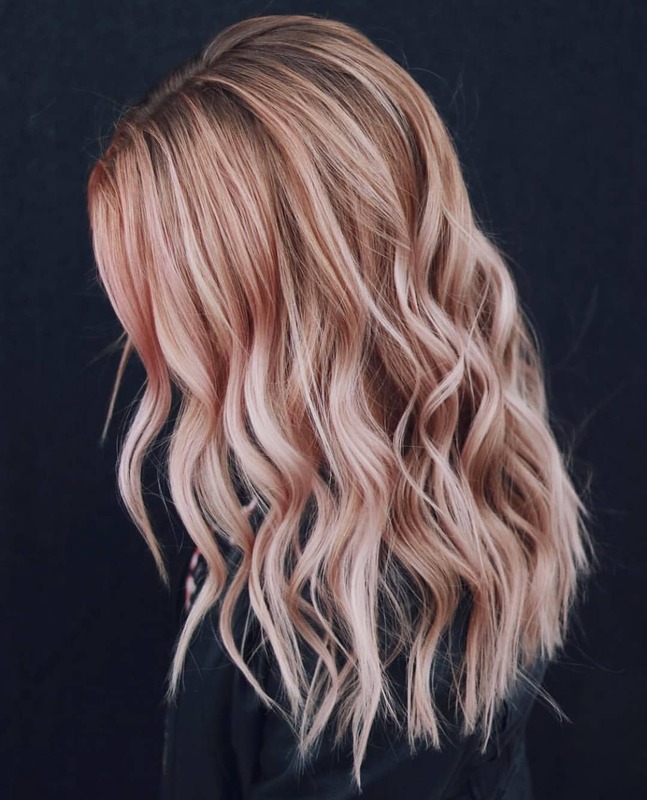 The mid-copper-blonde roots add color depth and contrast with white-blonde ombré. And there’s pretty pink toner on the shorter strands that frame the face and on the side. The defined bendy waves create lots of added volume and textured tips completethe casual, trendy theme! The strong contrast between two main colors adds a very attractive striped effect to this chic long bob haircut. 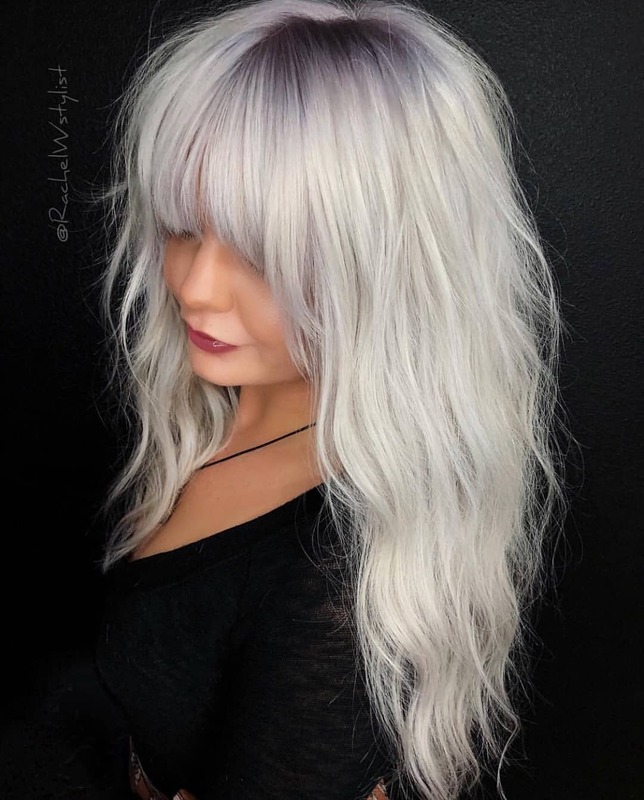 It’s a variation on the classic black and white hair-color designs. But you get a softer and more contemporary look with taupe-brown as the root color. Taupe is a cool gray-brown shade, so it matches well with cool white-blonde and the hint of blue toner at the back. This centre-parted long wavy bob haircut is perfect for anyone with an oval face shape. The roots are medium brown, which lightens through soft beige-blonde to off-white blonde ombré. Pretty waves frame the face and reflect light – drawing attention to the eyes and lips. And casual white ombré decorates the shoulders in this fashionable and feminine medium to long haircut. This romantic, modern look is proving very popular! And you can see why – it’s fun, flirty and very feminine! This look can be achieved on naturally fair hair, and the lightening process will add thickness to fine hair. It’s a good length for fine to medium hair, as you can get attractive volume from defined wavy strands. Deep-rose roots are new and exciting on this very face flattering look! 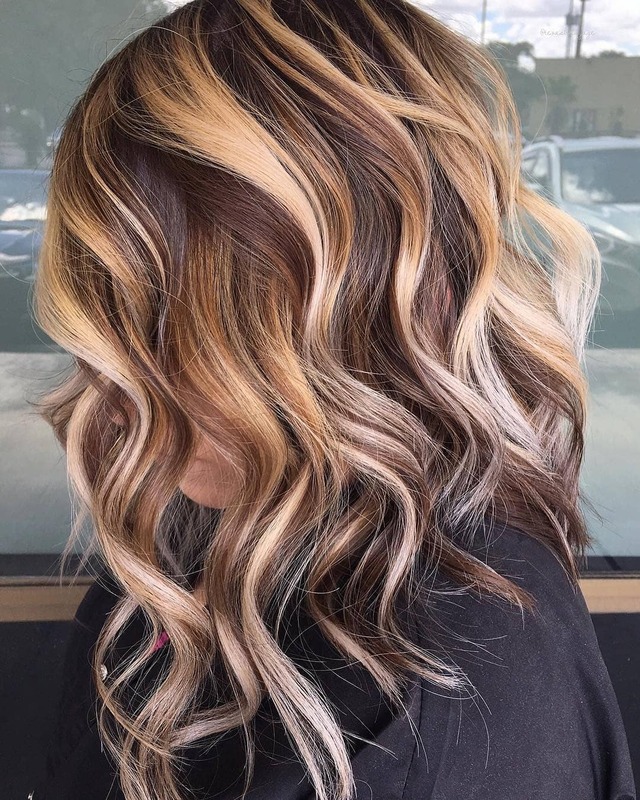 This natural looking hair-color design is perfect for giving dark-blonde hair a trendy makeover! It’s an edgier look with an inverted long bob haircut featuring a messy, spiky vibe. 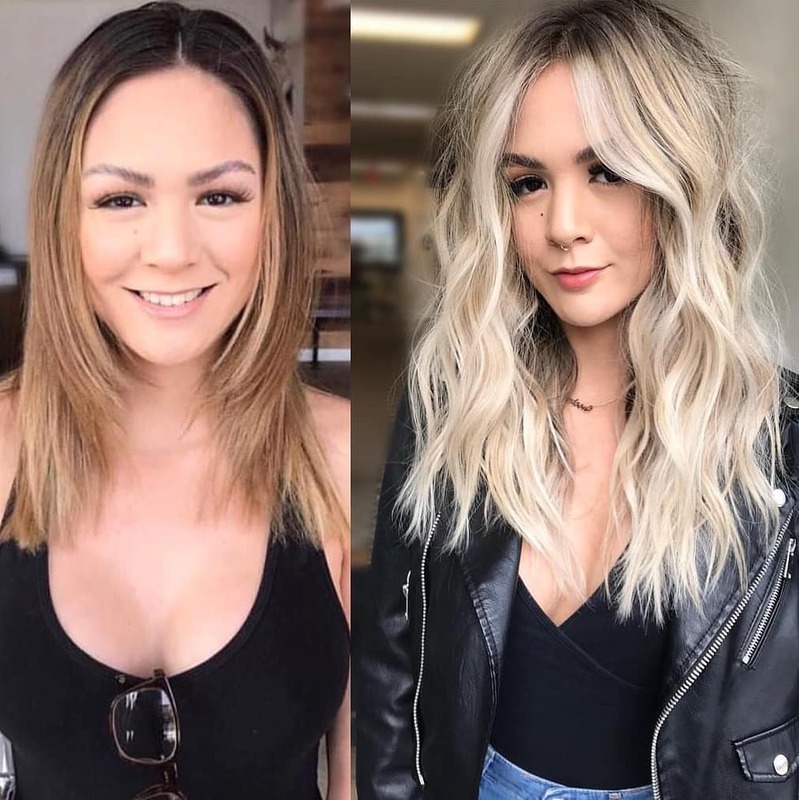 With the roots left in your natural dark color, the stylist just needs to add soft, beige-blonde and then create fabulous movement and texture with white-blonde balayage. These two hairstyles show how much your hair-color and cut defines your image! Both styles are great for showing off an oval face shape, but they differ in the ‘finish’. The first haircut features a natural medium-blonde, that’s soft and attractive. The color softens the spikey tips and smooth finish. But the lighter, white blonde hairstyle is longer, shaggier and definitely projects a ‘wilder’ image! 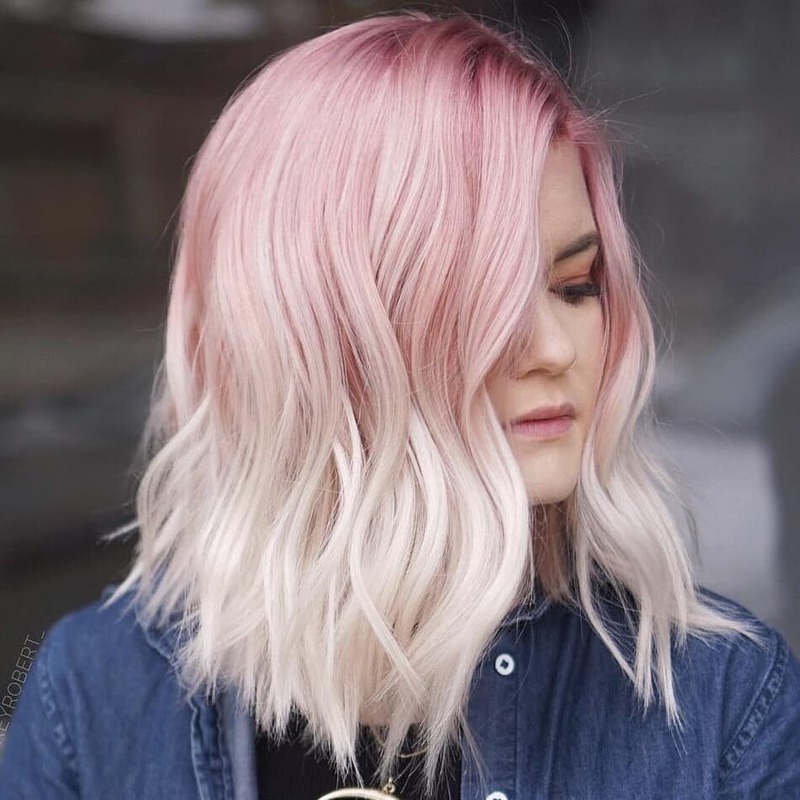 This is a great makeover idea for anyone with very long hair, as it will give you an instant fashion update without you losing the long strands at the front! The colors are soft and natural mid-blonde, with a hint of white framing the face. 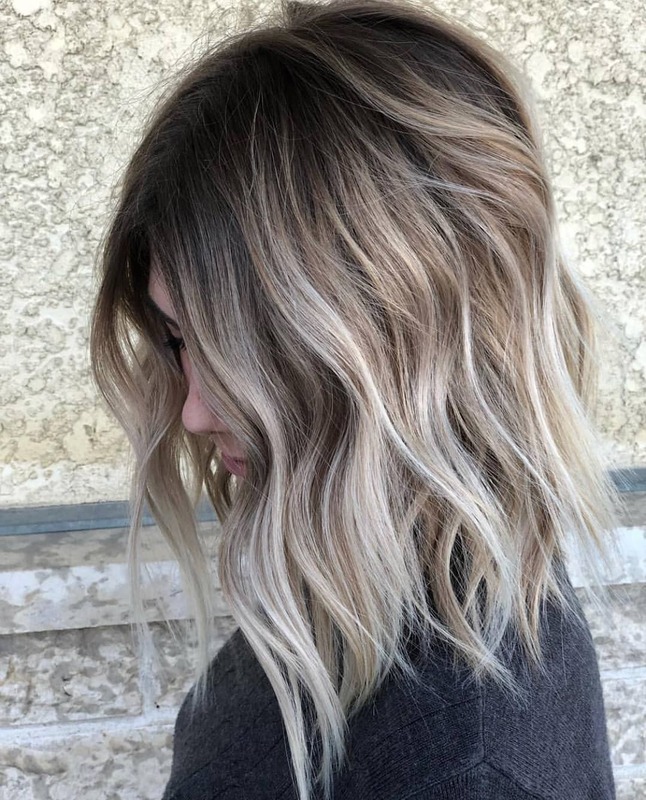 It’s a great blend of edgy cutting with gorgeous, natural blonde balayage artistry! Here’s a look that has loads of style and attractive color impact! It’s perfect for a special occasion, like a wedding or a dinner-dance event when you want to look especially trendy and attractive. 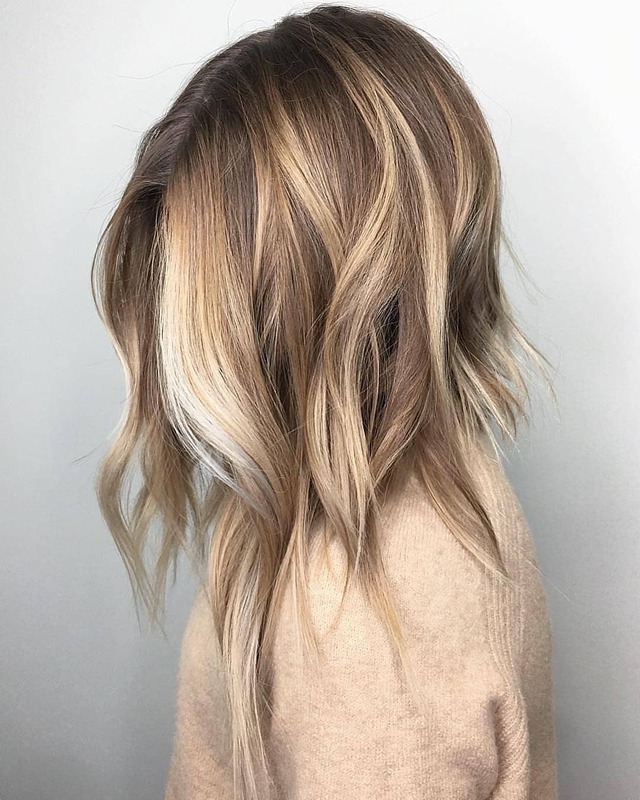 The colorist has blended at least 5 warm brown and copper-gold shades, which highlight the edgy steep inverted bob shape and those fabulous wiggly, defined waves! So if you feel bored with your hair right now, get one of these fabulous makeover hairstyles and be the trendiest gal in town!